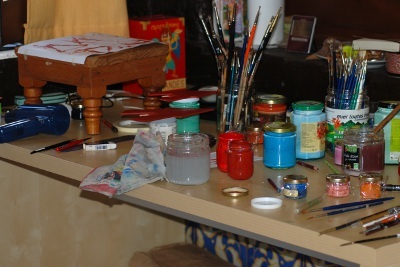 I was asked to paint several Tormas by Khenpo Tseten who has come to Spain for few days from France. Very tight deadlines! I hardly slept these 2 nights even though we decided to make simple design. It was really a rush order. 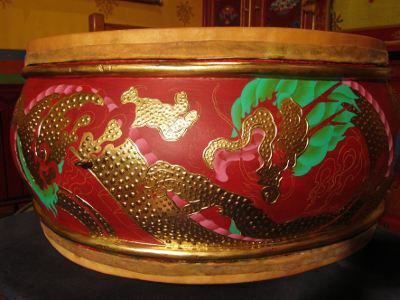 Open the eye of the dragons and paint the leather skin of the drum. 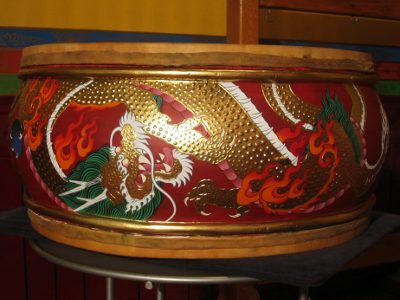 Paint some part of the dragon and dharma wheel in color and put gold paint. 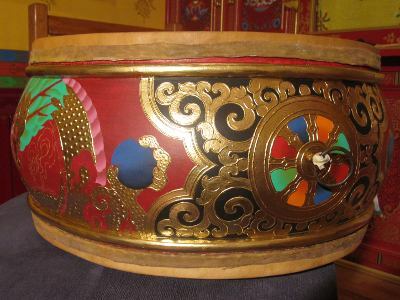 Relief detail is nicely visible with gold color. I forgot to take pics but there is base color,,,like ocher,,under the gold color. 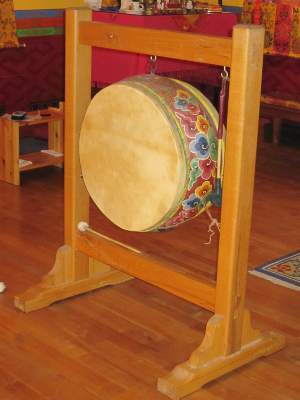 The color around the dharma wheel looks like black in the image but it is dark indigo color. Coming back to Belgium after 3 months of staying in Japan. 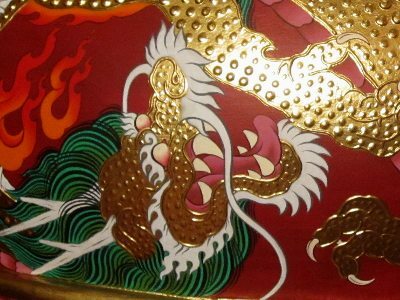 I'm finishing a thangka which I couldn't finish in Japan. I'll post about it soon. 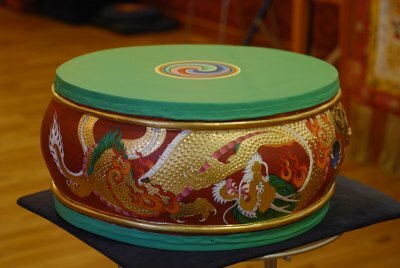 Now I'm painting,,, or repainting a tibetan ritual drum.